Do you like lip balms?... Do you like Christmas?... and by any chance do you like Soap and Glory? If you answered yes! YES! and duh? then I'm sure this is going to be something you are interested in! I love getting hold of limited edition products, they always seem to be things that I end up loving and am always devastated that I can't get hold of them again! This is a Limited Edition lip moisture balm from our beloved Soap & Glory! It is part of the A Great Kisser collection and I have been waiting so patiently for this to become avaiable! I spotted it online a good month ago and knew that I had to get my mitts on it as soon as possible! I love lip balms, especially at this cold, harsh time of year here in England! Our lips can be so sensitive to the weather change and NO-ONE wants poorly chapped lips! This stuff has been 'specially formulated to protect and moisturise lips' and boy oh boy does it work! It is a little stickier than other lip balms I own but it (suprisingly) doesn't bother me. It keeps my lips feeling hydrated and smooth for so long and not to mention the fact it makes them smell yummy! 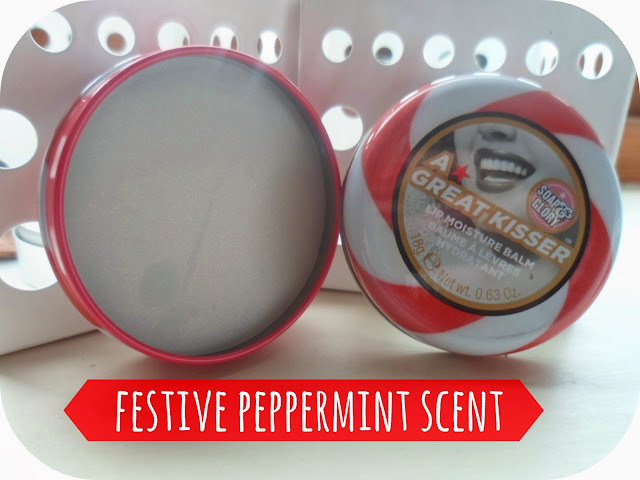 This stuff has an amazing festive peppermint scent! Mint isn't always my favourite when it comes to lip products but I am totally sold by this one! Not only do you smell amazing (who needs mints?!) but I definitely think this will help with my mince pie temptation - nothing is going to make me want to loose this yummy peppermint scent on my lips! They are priced at £5 (at Boots), which I think is a really reasonable price, especially as it is a limited edition product! 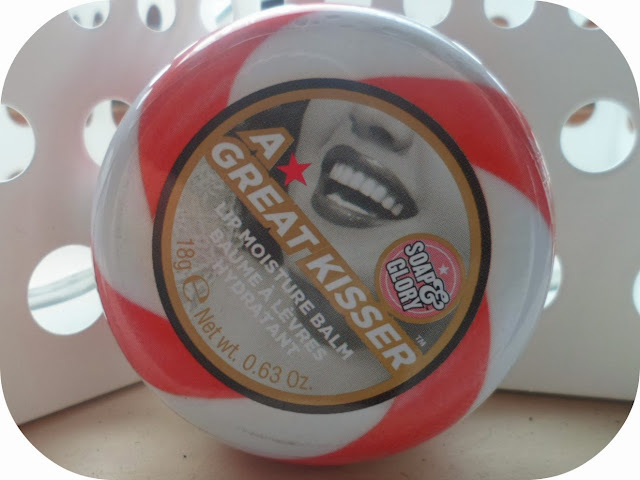 Soap & Glory never fail to impress me and I may even try out some of the other 'A Great Kisser' lip balms now, I love the feel of them! Get into the festive spirit and under that mistletoe with this badboy - you'll have them queuing up for a smooch! This is all of my favorite things wrapped into one! I wish we had more soap & glory here in the US! Happy Friday!